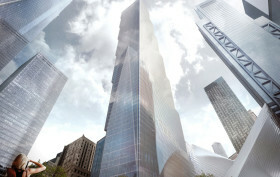 The top-floor units at Robert A.M. Stern’s 930-foot 30 Park Place have a way of making headlines. 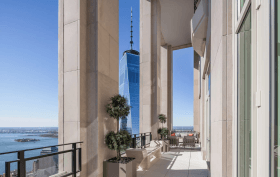 The 82nd floor penthouse, for instance, boasts the highest private outdoor space in the city, and the building’s own developer, Larry Silverstein, recently snatched up the massive 80th floor spread for $34 million. But below these units are two duplex penthouses that span the 78th and 79th floors, notable for their double-height loggias that, as Curbed notes, have become a fixture in classic Stern buildings like 15 Central Park West and 520 Park Avenue. Curbed also got their hands on new photos of penthouse 78B, on the market for $29.5 million, which not only showcase the incredible views from the terrace, but new looks at the interiors. 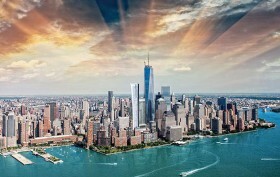 Big news on the 2 World Trade Center front. 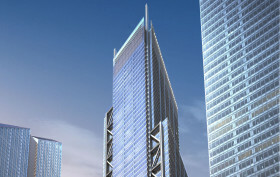 After several months of negotiation and hashing out design plans, News Corp. and 21st Century Fox Inc. have decided not to move into the new tower. 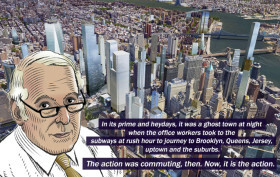 The Post first broke the news, reporting that the media companies will remain at their Midtown headquarters at 1211 and 1185 Sixth Avenue where they currently have a lease in effect until 2020. 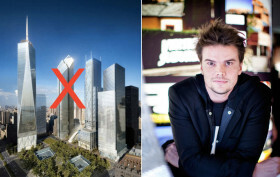 The Post reports that the construction of the Bjarke Ingels Group-designed 2 World Trade Center will come with a $4 billion price tag. 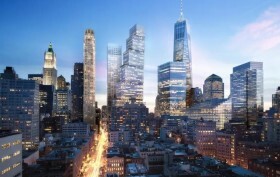 The 2.8 million-square-foot downtown tower will top out at 1,340 feet, just 28 feet shy of One World Trade Center, which currently holds the title of the world’s most expensive office building with construction costs coming in at $3.8 billion.